Read The Secrets Between Us synopsis. 1. The Secrets Between Us contained many themes, including family, love, friendship, poverty, modernity, globalization, tradition, and marriage to name a few. Which theme impacted you the most? Why? 2. The book explores the idea that we need more than just money to survive and to feel human. We need family and friends. Bima’s ‘family’ and friends include Parvati and the lesbian couple Chitra and Sunita. Are you surprised by this eclectic group whose class division seem to set them apart? 3. Bhima and Parvati’s surprising friendship develop out of a business arrangement to sell fruit and vegetables at the local market in Mumbai. How do you feel about the changes in each person as their friendship grew? What makes their friendship strong by the end of the book? 4. Parvati’s deformity is not uncommon in India where poor people do not have easy access to medical help. Bhima encouraged Parvati to get medical help as her condition worsen. What does having a disfigured character in this novel help to explore? 5. Before Parvati starts a business with Bhima, Parvati sells 6 cauliflower heads a day and eats left overs given to her to survive. Parvarti’s poverty and economic situation changes once she works with Bhima. Though they mutually benefited from the business partnership, why was Parvati so hesitant? What was she thinking? 6. Parvati’s story was very sad. Did you find Parvati’s story surprising? Given the poverty and the insurmountable obstacles her family faced, do you think her dad made the right decision in selling her? 7. Umrigar does a good job of bringing different character’s perspective into the story. How do you feel about Sera, Bhima’s former employer? Can you see her side? What does it say about their relationship? 8. Chitra and Sunita’s gay characters reflect the changing modern life in Mumbai. How does Bhima’s relationship with the couple change as she gets to know them? Who has a harder time in adapting to the relationship? 9. Did you enjoy the ending? What did you like about it? 10. How do you feel about finding out about what happened to Parvati’s family? What lessons did you learn from it? 11. What did you take away from this book after you finished the book? Did you feel it was empowering for women? 12. Are you curious about Bhima’s granddaughter Maya’s future? Could there possibly be a third book? 13. Did you enjoy The Secrets Between Us and who would you recommend it to? Check out The Secrets Between Us book review. Belong to a book club? 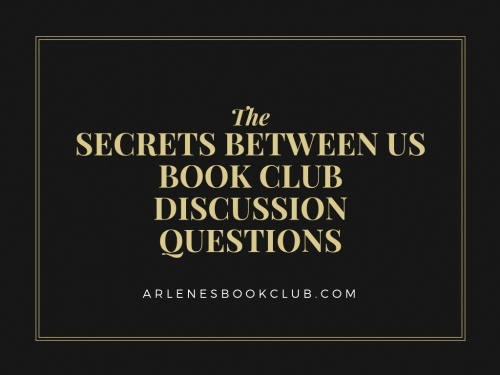 Check out our book club discussion questions.